Our successful and outstanding alumni from across the globe! Velazquez joined Diavolo Dance after graduating and has been touring nationally with the company for the past three years. He was born and raised in Chicago. Although he was actively involved in competitive sports, he developed a taste for performance art while showing off his talents on the dance floor at weddings and birthday parties. 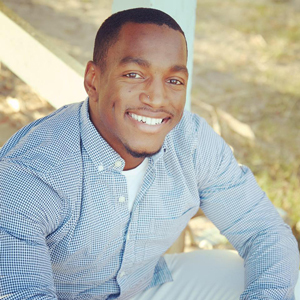 He received a BS in Theater and Dance from SIUE under the instruction of Kristin Best-Kinscherff. 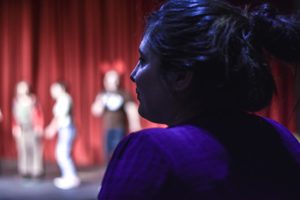 At SIUE, Rico performed works by Jon Lehrer, Michael Mizerany, Paula David, Omar and Jennifer Olivas, Dianna Andrews, Dustin Crumbaugh, Kristin Best-Kinscherff and Calvin Jarrell. 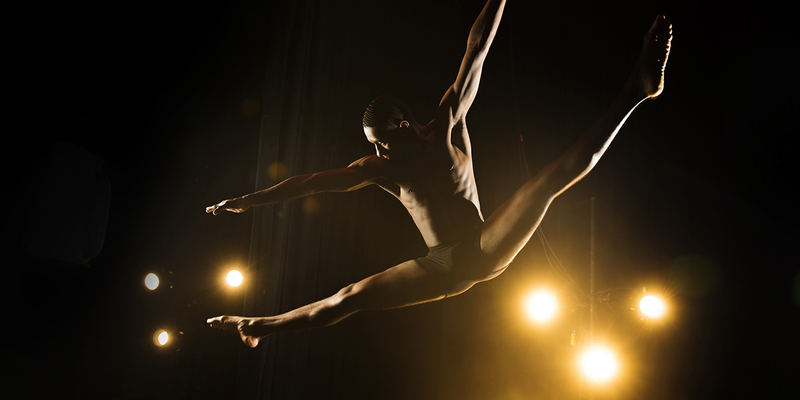 He has also been featured in concert at American College Dance Association’s regional conference. Clarkston’s career spans over 20 years working as a stage manager, producer, production manager, general manager and business owner for theatre, film and television. Michael has worked on four television shows, seven Broadway musicals, nine national tours, over 20 high profile events and numerous benefits for both Broadway Cares and The Actors Fund. Clarkston has worked throughout the continental U.S. as well as internationally in Canada, Dubai and London. Michael is also owner\founder of his own production company, On Que Entertainment, and the online store Broadway Bazaar, which features handmade Broadway crafts and extremely rare and unique Broadway show memorabilia. Some of Michael’s favorite projects include the Tony®, Grammy® and Drama Desk Award-winning hit musicals Jersey Boys, In the Heights and the coming-of-age, adult puppet show Avenue Q. Clarkston has also worked with some of the top A-List celebrities which include Jennifer Hudson, Rosie O’Donnell, Whoopi Goldberg, Bruce Vilanch, Lady Gaga and Elton John. Currently, he is working as the production manager and producer on the reboot of the iconic 1950’s kids variety show Wonderama hosted by David Osmond, the nephew of famed entertainers Donny and Marie Osmond. Since graduating from SIUE, Fenner has performed in numerous shows primarily in the St. Louis and Chicago areas. Some shows include The Taming of the Shrew and Cyrano de Bergerac (St. Louis Shakespeare), New Kid (Metro Theatre Company), The Whipping Man (New Jewish Theatre), Six Degrees of Separation, Angels in America Parts 1&2, and the one-man, 40-character comedy Fully Committed (Stray Dog Theatre). He also starred in HotCity Theatre’s production of Whammy! The Seven Secrets to a Sane Self, which he went on to perform as part of the NYC Fringe Festival. Since moving to Chicago in 2014, he has starred in Love and Information with Remy Bumppo Theatre, the world premiere of Megastasis (Eclipse Theatre), 10 Out of 12 (Theater Wit), the world premiere of A Small Oak Tree Runs Red (Congo Square Theatre), directed by Harry Lennix, star of NBC’s The Blacklist, he understudied in the world premiere of Native Son (Court Theatre), which went on to be produced by Yale Rep, and performed in Richard III with The Gift Theatre, where he is an ensemble member along with Tony winning playwright David Rabe. 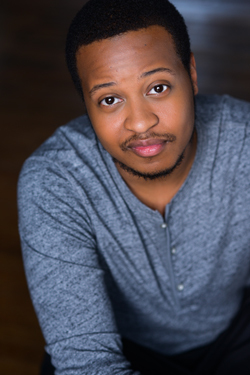 Television credits include Empire (FOX), Chicago Fire (NBC), the upcoming The Chi (Showtime), and commercials for The Onion and McDonald’s. 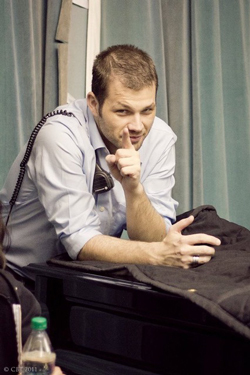 He is a graduate of The Second City conservatory and has written short, one-act plays that were produced by Theatre Nuevo in St. Louis.